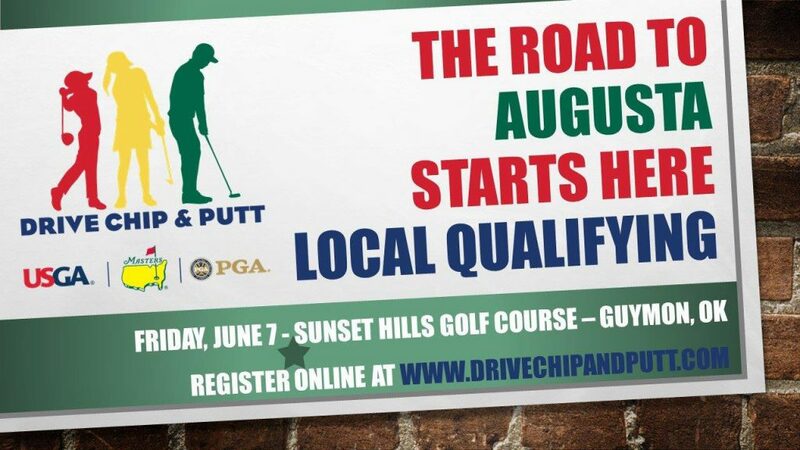 *Qualifier for the National Drive Chip and Putt contest will take place on Friday June 7th following the first round of the Jim Hitch Memorial tournament. Estimated start time is 4:00 pm and this is a free event, no entry fee required. Sign up and get information at www.jimhitchgolf.com , or at the clubhouse at Sunset Hills Golf Course.